The VGA-CPU-UC computer module links external keyboard, video, mouse, and audio interfaces to the ControlCenter-Digital. The "UC" module you can connect one computer to two different matrix switches. The computer modules link external keyboard, video, mouse, and audio interfaces to the ControlCenter-Digital/ DVICenter system. 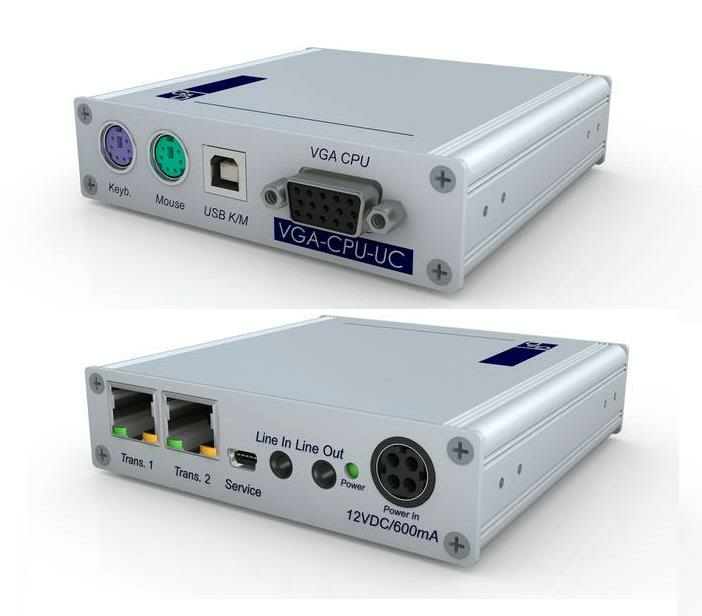 VGA-CPU-UC combine signals, process them, and use CAT cables to transmit the signals to the DVICenter. to link them to the central module. ?With the "UC" module you can connect one computer to two different matrix switches (clusters). The module owns two RJ45 sockets. Each is connected to another matrix switch.